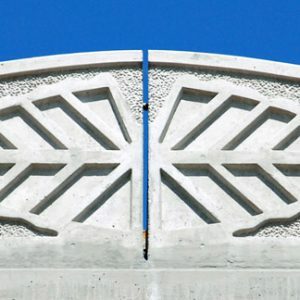 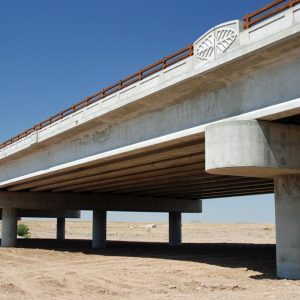 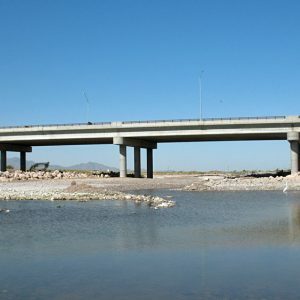 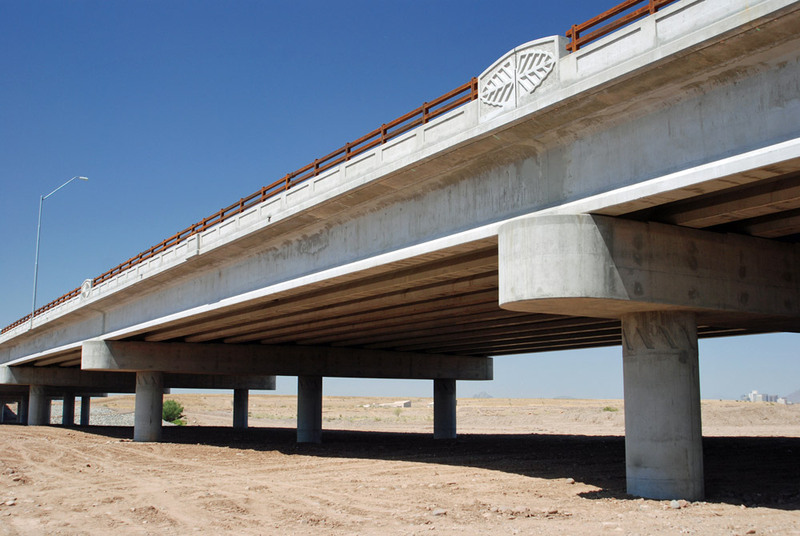 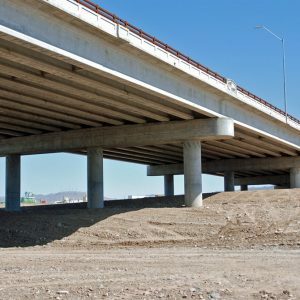 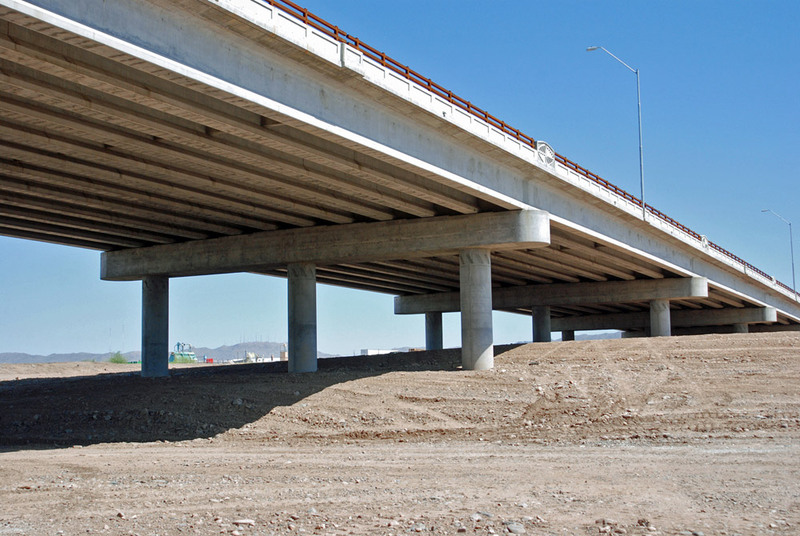 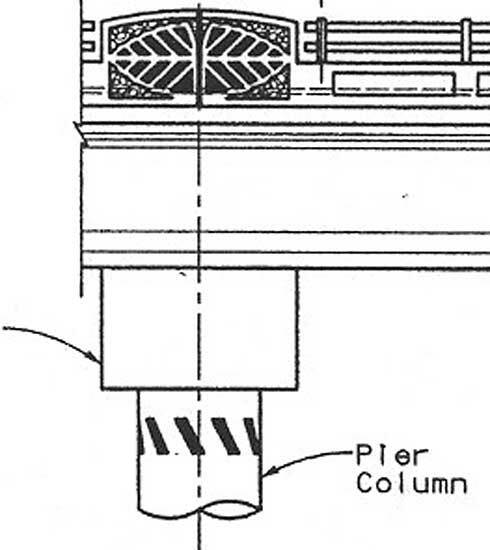 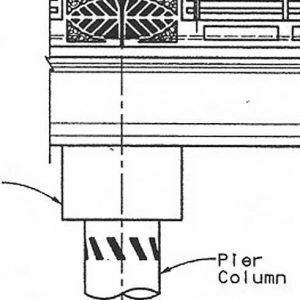 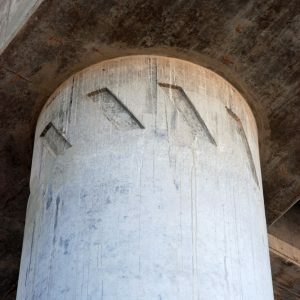 This bridge features concrete rustication at tops of piers, columns and bridge endings. 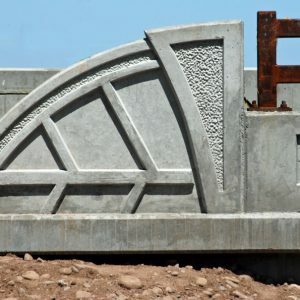 The relief designs depict a stylized cottonwood leaf, inspired by the willow-cottonwood riparian ecosystem that is being restored along the Salt River. The veins of the cottonwood leaf design also represent the bridge and highway systems, alluding to the integration of the natural and built environment. 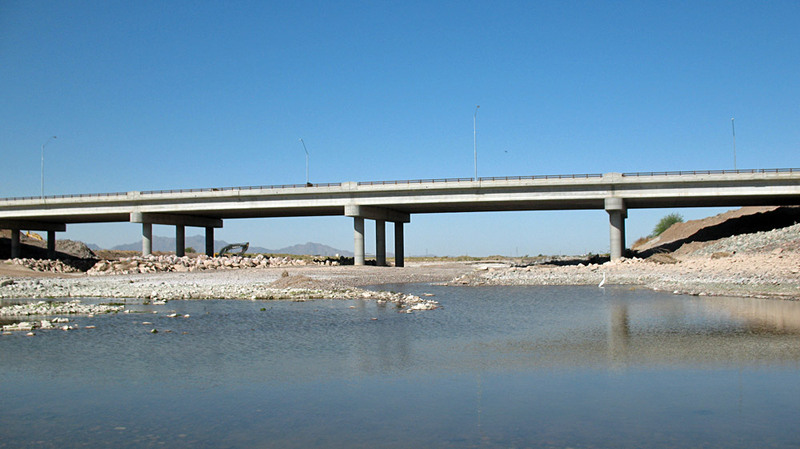 The bridge is 9 spans, and a total of 1100′ long. 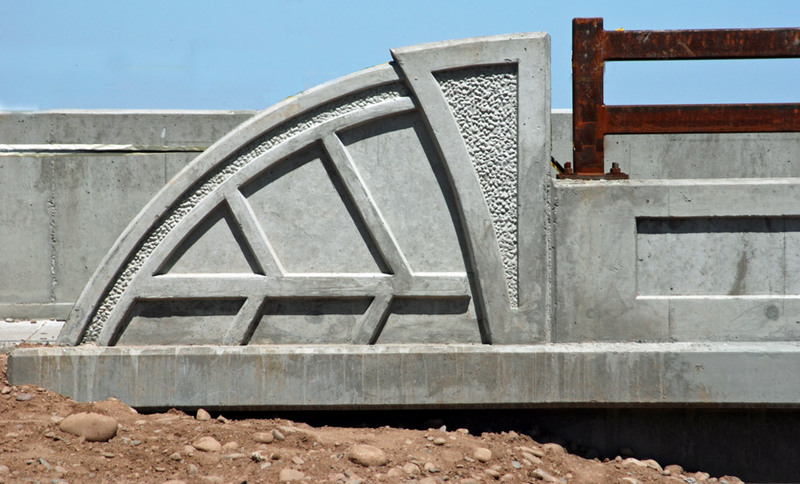 TransSystems Corporation of Tucson, Arizona commissioned the artist to design the concrete rustication details.